Purdy's Chocolatier chocolates are made using only the finest ingredients from around the world and are perfect for chocolate gifts, wedding favours and fundraising events. We also carry gourmet gift baskets, truffles and chocolate bars and snacks. 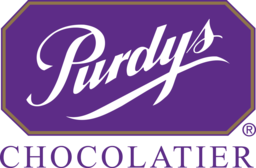 Visit Purdy's Chocolatier today at Markham, Ontario's favourite place to shop, CF Markville.